Radio 1 Fm 88 Latest Show ! Belon(Resident DJ (2011)),Viveur , Clo , Dome, Paffuto , Chaplins Beach Bar, Villa Di Mare, Kahlua Cafe-Bar, o Empires club, Like Club, Ronda Cafe Bar,Fuego,Elli Restaurant Beach bar and Rhodes Palace(Hotel)parties . He is in the team of Radio 1 djs! He had played along with Otherview, Rec, Professional Sinnerz ! 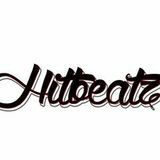 Now Steven has his own team Hitbeatz and is working on his own music projects like bootleg/remixes/original mix. His favorite styles are House, Progressive House. Steven&apos;s favorite DJ’s are Swedish House Mafia, Avicii, Fedde Le Grand. He plays kind of music like house/mainstream/deep house.